^ BBC. Brexit: David Cameron to quit after UK votes to leave EU. BBC. 2016-06-24 [2016-06-24] （英语）. ^ Gould, Mark. Ray of hope. 2007-12-05. ^ Martin, Daniel. 'Prime minister-in-waiting' David Cameron appears on the cover of Time magazine... but not the US version. 2008-09-12. 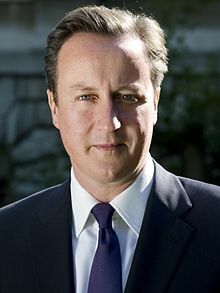 ^ David Cameron promises in/out referendum on EU. BBC News. BBC. 23 January 2013 [23 April 2016]. ^ Cameron: I don't regret calling referendum. BBC News. [2019-01-16] （英国英语）. ^ Camerons announce birth of fourth child. BBC News. 24 August 2010 [24 August 2010].